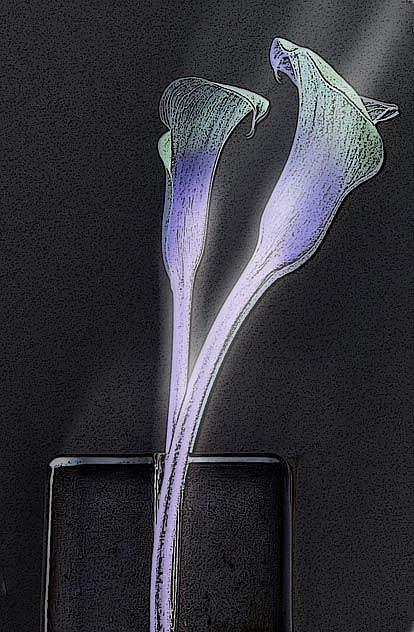 This lily in a vase was created from a picture taken by myself. It was layered and worked on in Photoshop to create the final image. I enjoyed using the tools in Photoshop to produce the lighting which adds to the drama of the final image. I love lilies and feel they are such a graceful flower, especially Calla Lilies.